Occupational Therapists are professionals who work with children, young people and their families to help them to engage in everyday activities. For children these activities could include feeding, self help skills such as dressing, school activities such as writing and the ability to organise your movements for play and leisure activities. Occupational Therapists (OT’s) enable children to build upon their current skills in order to engage in these activities and to be as independent as possible. Through engaging in meaningful occupations it is hoped that children will develop skills that can be transferred into other areas, minimise disability and improve quality of life. Sensory integration is the body’s ability to take in information from the world around us and to make sense of it. Human beings have seven senses touch, taste, smell, vision, hearing, proprioception and vestibular. Download Sensory integration pdf here. Proprioception is our ability to know where our body is in space, we receive this information from our muscles and joints. Our vestibular system is located in our inner ear and helps us to balance and orientate ourselves in space. Sensory seeking type behaviours i.e. fidgeting, “always on the go”, over-active, difficulties settling to sleep. Sensory sensitivities i.e. dislike of messy hands/play, nail and hair cutting, teeth brushing, feeding difficulties, upset with loud noises. Sensory based motor problems i.e. clumsy, difficulties with handwriting and other fine motor skills, difficulties with riding bike, swimming. Children who have difficulty processing sensory information may present with a variety of behaviours in different areas for example they may have find teeth brushing and hair washing upsetting but always be on the go and very fidgety. Once sensory difficulties have been highlighted then these can be assessed further by a specifically trained professional. Advice in the form of a “sensory diet” may be provided alongside specific therapy sessions in order to help the child make sense of their environment and respond appropriately. Lucy is a member of our Rainbow Therapy and Feeding Clinics. Lucy qualified as an Occupational Therapist in 2005 after studying at the University of Northampton. Since qualifying Lucy has worked mainly in the areas of Neurology and Paediatrics. Lucy works part time within the NHS in a Children’s Therapies team. She also works within a local special school treating children with sensory processing difficulties. Lucy has considerable experience of working with a community case load of children with a wide range of physical conditions. 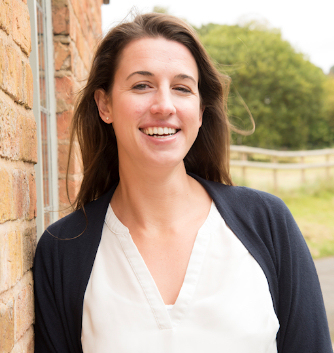 Lucy is a qualified Sensory Integration Practitioner and has also completed additional training to enable her to deliver the SOS Approach to Feeding course. Lucy enjoys working with children and their families to provide an holistic solution focused therapeutic experience. Rebecca is a highly specialist occupational therapist with children with neurological and developmental diagnosis. Rebecca has developed her clinical skills in assessing and treating children with a wide range of clinical diagnoses and functional difficulties, which prevent them participating fully in daily occupations and activities. Rebecca is competent in working with individuals with sensory processing difficulties and is a sensory integration practitioner. Rebecca has a wealth of experience working in community and acute hospital setting with children who have neurological, developmental coordination delay (DCD) and Autism diagnosis. Rebecca has specialist clinical skills in assessing and treating high risk neonates and babies and children with acquired brain injuries and spinal injuries. 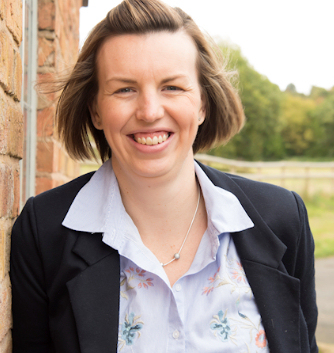 In addition, Rebecca has developed specialist skills in assessing and treating neurological and rheumatic conditions, hypermobility and pain syndromes within a multi-disciplinary team, and has experience with burns and scar management. She also has experience of treating surgical and non-surgical traumatic hand injuries. This broad range of experience has allowed Rebecca to develop skills in providing a range of treatment modalities. Including: assessing and providing equipment; rehabilitation and skill development interventions; fabricate splints; bimanual and constraint induced therapy models; facilitating individuals to access education; working with adolescents and those with lifelong conditions who require a psychosocial approach to treatment and support with transitioning out of children’s services to adult care. Rebecca is a provider of confident pain and fatigue management, upper limb rehabilitation and providing condition specific education to families, patients, teachers and other professionals.